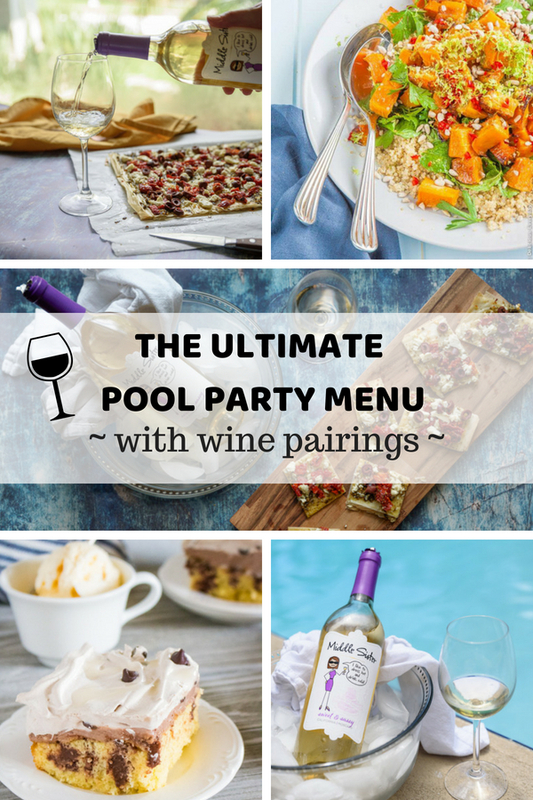 Home » Recipes » The Ultimate Pool Party Menu – with Wine Pairings! 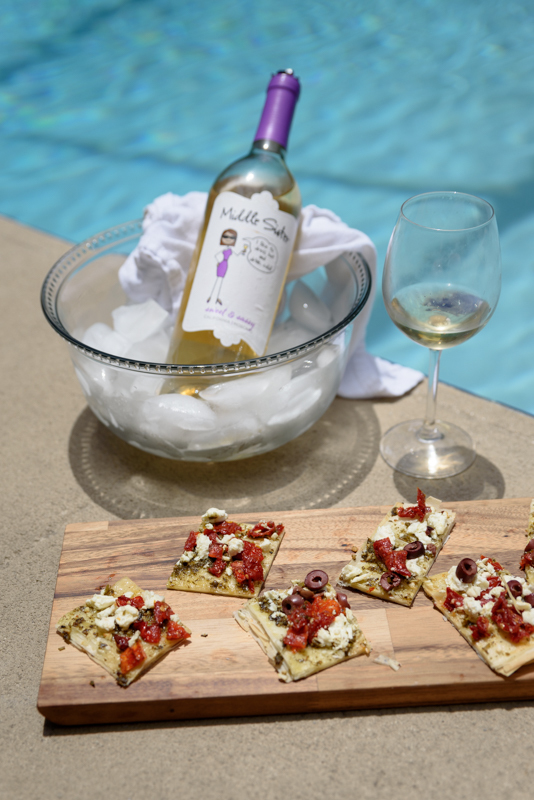 The Ultimate Pool Party Menu – with Wine Pairings! Are you ready for the ultimate pool party menu, complete with irresistible food and perfect wine pairings? 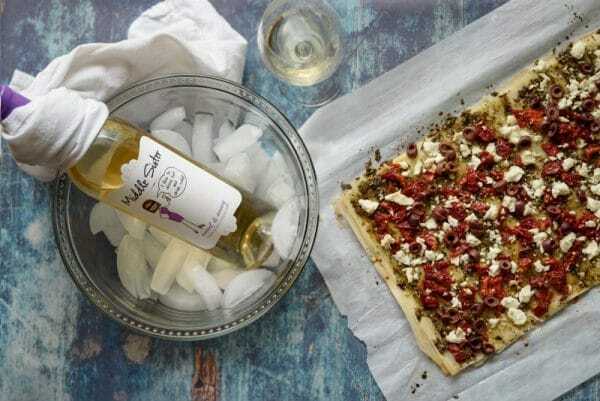 I’ve pulled together some of my favorite recipes for summer entertaining, and matched them up with some truly delicious wines. Bring on summertime! It finally feels like summer is here – at least down here in Florida! And summer time in this house means it’s time for a pool party. There’s nothing I love more than gathering up all my girlfriends to sip wine by the pool. And of course that wine needs to be paired up with some amazing munchies. 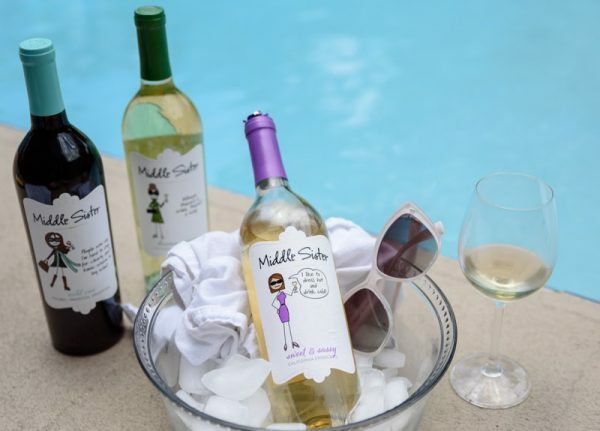 So when Middle Sister Wines reached out to me, I jumped at the chance to put together the perfect pool party menu, paired with their delicious wines. I had so much fun exploring all the incredible wines from Middle Sister Wines. They were nice enough to send over an assortment of six different varietals for me to try! Don’t they look like so much fun? I love the labels! Apparently, when Middle Sister Wines launched, these labels were quite controversial! 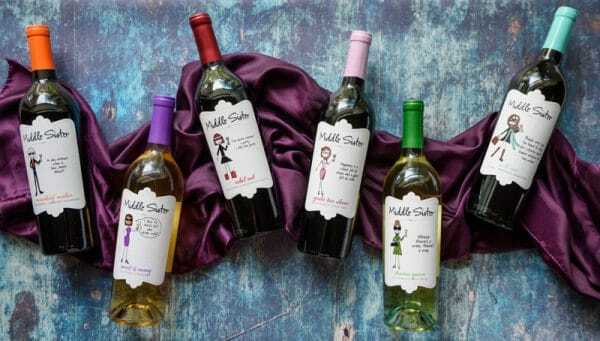 Stick figures on wine labels? Blasphemy. But turns out their customers loved it. Some of their more passionate fans have actually tattooed them onto their bodies! Now that’s brand loyalty. So if you’re anything like me, you’re wondering what is up with the name? It turns out there’s a pretty cool story behind it. 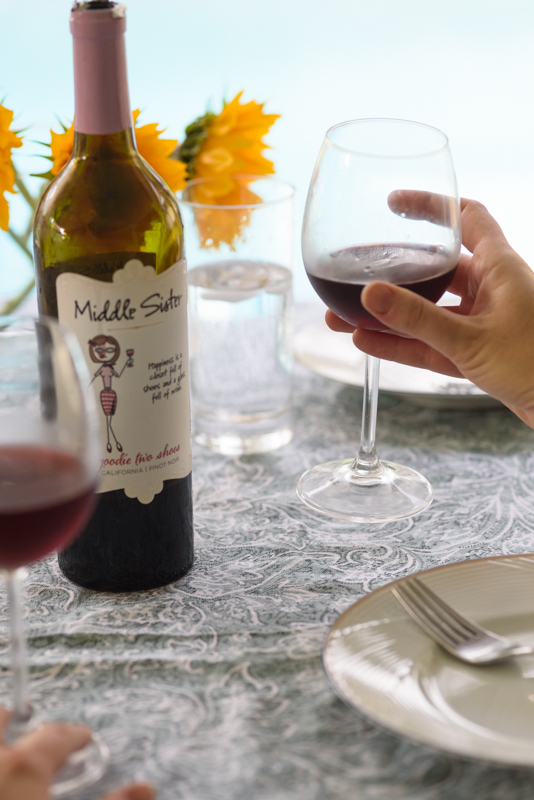 Middle Sister wines were created 10 years ago. 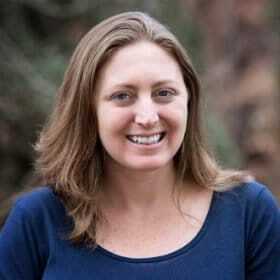 The founder, Terry Wheatley, was always fascinated by her best friend’s middle daughter, Erin. Erin was always more outrageous and free-spirited than her sisters. She was just larger than life – right from childhood! 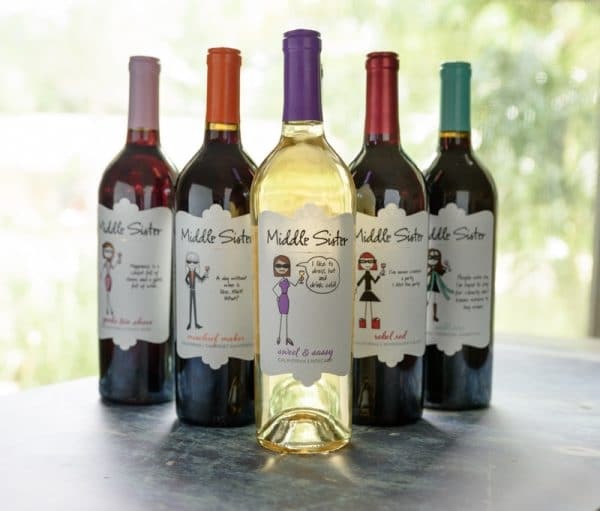 So Terry created Middle Sister wines to celebrate middle sisters everywhere, so they finally get the attention they deserve. Cheers to that! Let’s get on with the pool party. What are we eating? And more importantly – what are we drinking with it?! Every party spread needs a centerpiece dish. 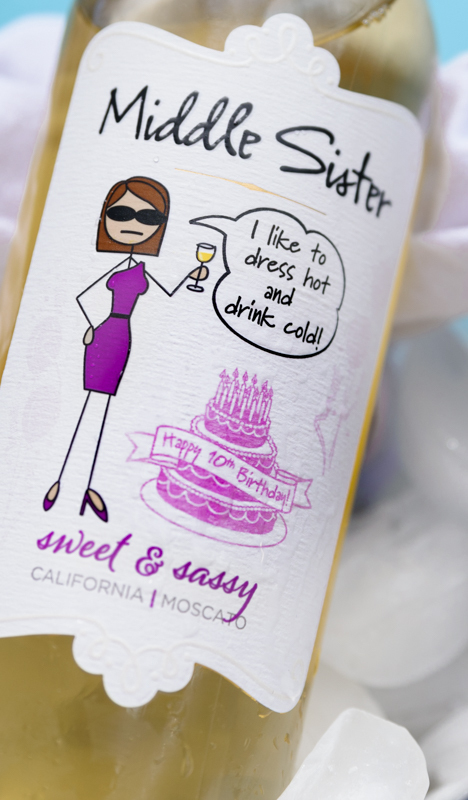 And so I had fun crafting the perfect recipe to pair with Middle Sister’s Sweet & Sassy Moscato. This Mediterranean flatbread is one of my favorite party foods. 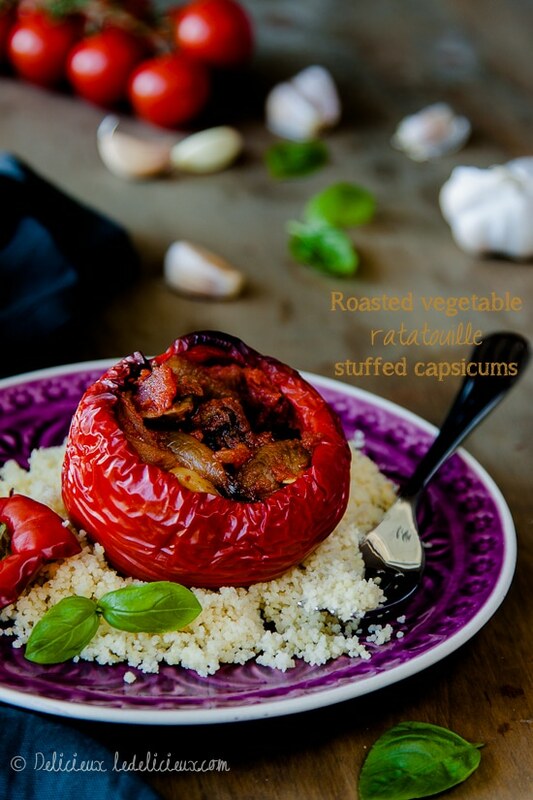 It’s made with a flaky, phyllo dough crust that is perfectly light for a summer day. 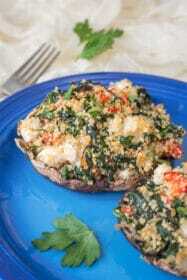 And it’s loaded with flavorful toppings like feta cheese, pesto, sun dried tomatoes, and kalamata olives. It paired perfectly with the Moscato. It was so refreshing, with flavors of lychee, lemon zest, tangerine, candied pear, and peaches. It was perfect for drinking on a hot, summer day. Now, probably the most fun thing about this wine is the label. It actually reveals a surprise message when it gets cold! Isn’t that crazy? Turns out that Middle Sister wines turns 10 this year! So the secret message celebrates their 10th birthday. In fact, the brand is hosting a monthly Kate Spade purse sweepstakes to celebrate. So if you love purses (and who doesn’t? ), be sure to enter for a chance to win. 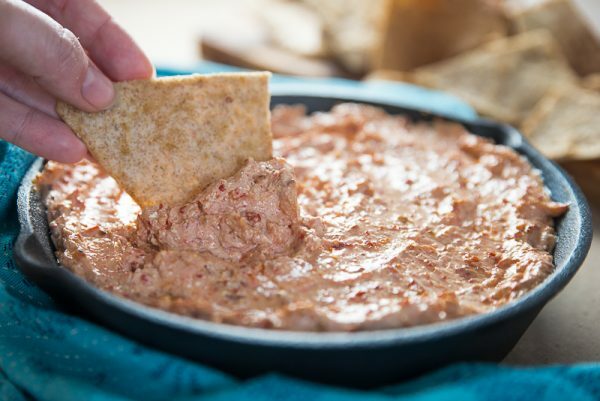 It’s not a party without some kind of dip. So next on the menu in this creamy, delicious sun-dried tomato and feta dip. It’s made with Greek yogurt, which keeps it on the lighter side. 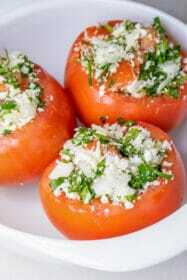 And it packs a big flavor punch from the tangy Feta cheese and sun-dried tomatoes. This one is a perfect match for the Middle Sister Drama Queen Pinot Grigio. It’s a medium-bodied wine with flavors of apples and pears. It’s perfect for a pool party, and a nice complement to the tangy feta cheese in this dip. 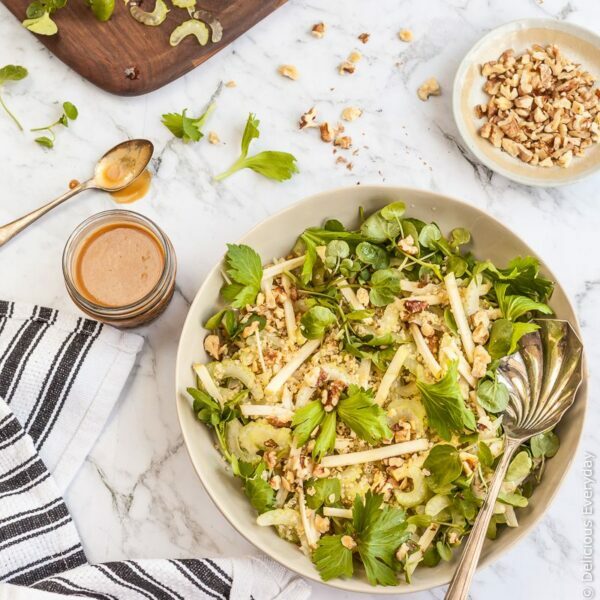 Next up is this hearty salad, loaded with crunchy celery, apples, and walnuts. It’s super refreshing, making it perfect for a poolside lunch. For this wine pairing, we move on to the red wines. This one is a great match for the Middle Sister Goodie Two-Shoes Pinot Noir. This wine is on the lighter side, with flavors of juicy blackberries and raspberries. It’s a perfect match for the honey-miso dressing in this salad. 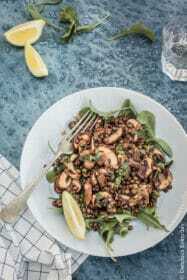 For something a little heartier, add this quinoa dish to the mix. 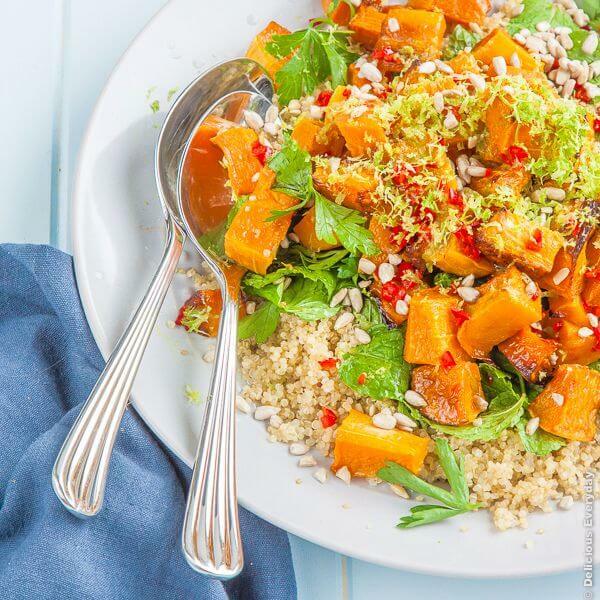 It’s packed with roasted butternut squash and zesty flavor from the fresh chili pepper and lime. The lime juice gives it a satisfying zing, that make it just right for our pool party menu. 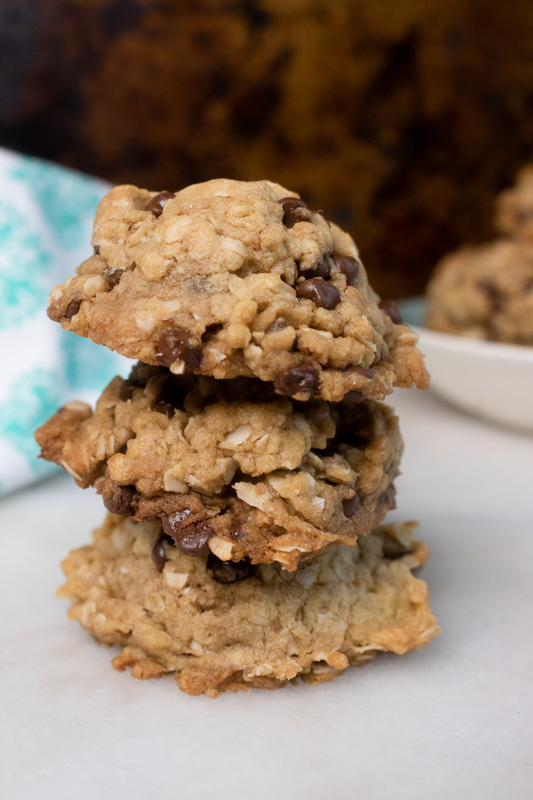 This one is a perfect pairing for the Middle Sister Rebel Red Wine Blend. 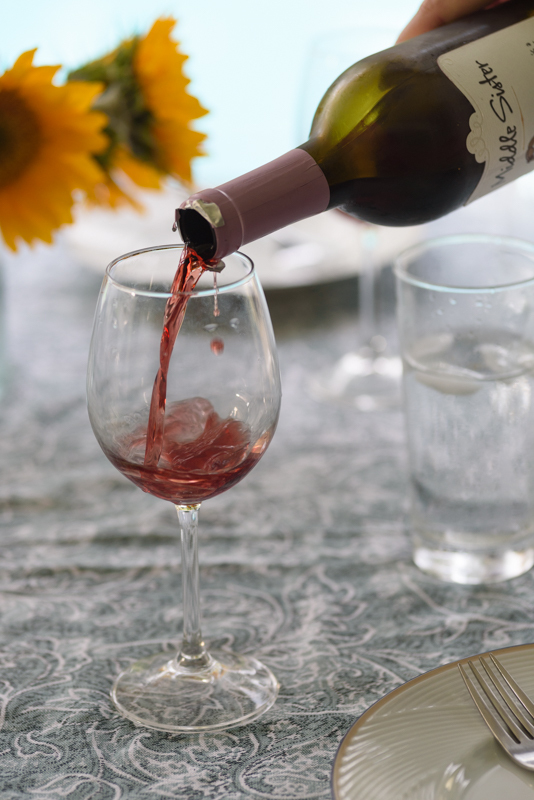 This tasty red blend is full of fruity flavors like blackberries, blueberries and plum. This is one of those wines that will pair well with just about any food! 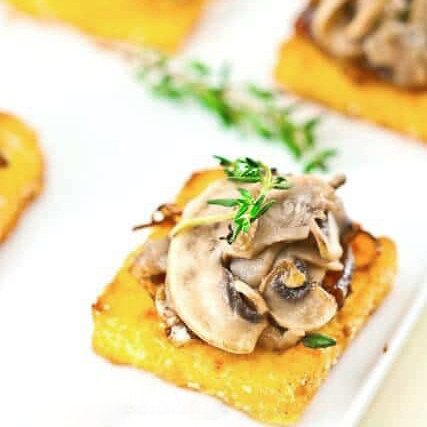 These polenta bites are one of my most popular recipes – it’s been shared over 25,000 times! 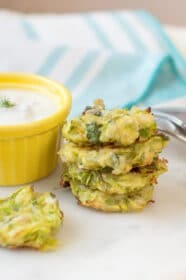 So it’s sure to be a hit on your pool party menu. I love that they look so fancy, but are so simple to make. These are great for pairing with the Middle Sister Wild One Malbec. It’s a velvety wine, packed with juicy blackberry flavors. It pairs perfectly with the smoky mushrooms and caramelized onions. And last but not least, we need dessert. What’s a party without dessert, right? 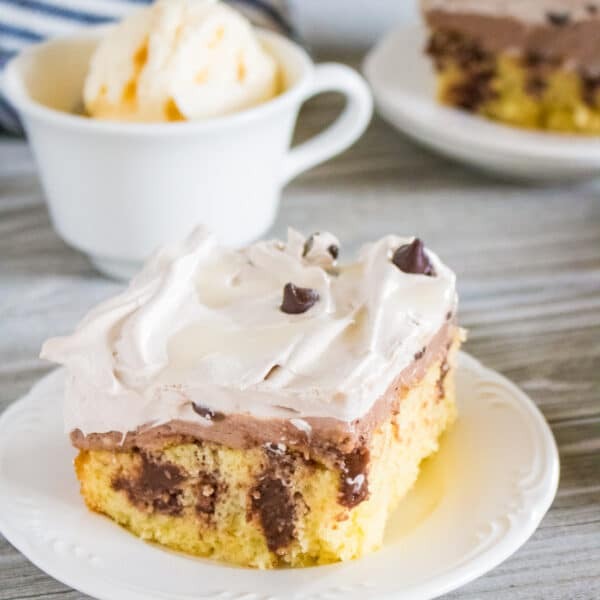 Last week, I shared a new recipe for this triple chocolate poke cake that is just out of this world. It’s filled with dollops of chocolate pudding, layered with chocolate-cream cheese frosting, and topped off with a chocolate whipped cream topping! 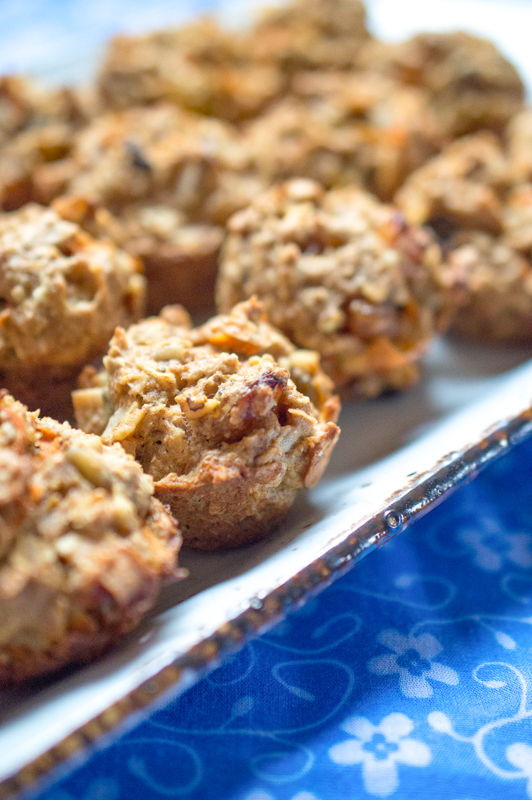 It’s so easy to make ahead of time, so it’s perfect for entertaining. Of course, nothing goes with chocolate quite like Cabernet. 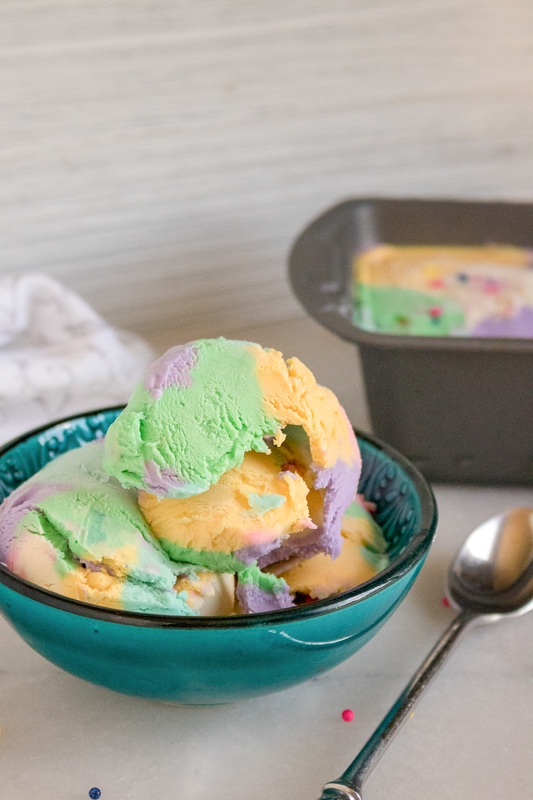 This dessert is a perfect match for the Middle Sister Mischief Maker Cabernet Sauvignon. This wine is packed with bold flavors like plum and berry jam, that stand up perfectly to the decadent chocolate cake. Such a sweet way to wrap our pool party menu! Middle Sister’s Giveaway – Enter Now! 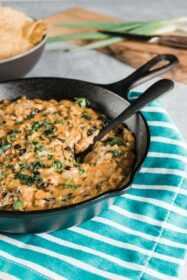 I hope you give these recipes a try for you next summer get together – and try pairing them with the Middle Sister Wines! It’s so much fun bringing these Middle Sister characters along to celebrations – they always get people talking. Wines are available in stores across the U.S. and online – check the store locator to find them near you! And don’t forget to enter this month’s Middle Sister giveaway. This month they’re giving away a gorgeous Kate Spade handbag! Visit their website to enter.